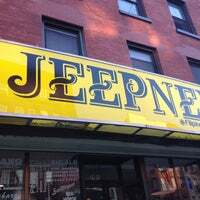 Great atmosphere, friendly staff, and delicious food! Can get busy during dinner, especially on weekends. The choir burger is a must try. 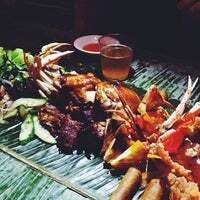 Kamayan night is a lot of fun if you're a party of 4 (min). The Chori Burger: TIME OUT just gave it the Best Burger in NYC. It was delicious but not the best. Whitman's, Brindle Room, and even Shake Shack provide a more satisfying mouth-splosion. Banana ketchup glazed spare ribs were tender, great flavor and a little kick. We ordered the special, deep fried snapper and it was delicious. Garlic rice- you can never go wrong. 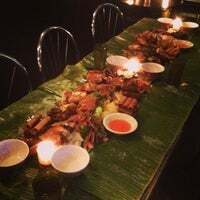 Kamayan dinner! Apps:Chicharon bulalak, lumpiang Shanghai. Entrees:Adobong hipon, Na manok, Bicol express & Garlic rice! $56pp weekend price. After 3beers, 2sodas, tax & tip $85pp. Costly but delish! 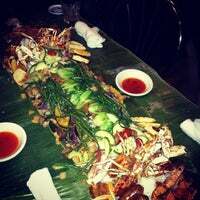 Kamayan night is awesome experience for big groups. Bone marrow, sausage, garlic rice served on table of leaves. I loved this place - for main meal I had the wonderful Chori Burger!! 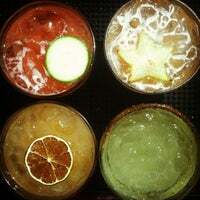 They don't have a liquor license as of now so bring your own "water" bottle to mix with your fruit drinks. I will be back!! Sit in the garden on a nice night. You feel like you are on vacation! I don't care for sweet cocktails, but the tropical drinks were surprisingly delicious. Great for dinner with the girls or mom! Come for kamayan night! The hands eating feast. Reservations made online and at least a few days ahead. It's a great, tasty memorable event with friends. 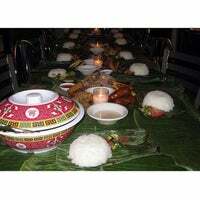 Ate in the back room kamayan style w/a party. Food was great (rice a bit hard though). Only complaint is $35pp prix fix for back room! I know us Filipinos can be crazy, but that's a little absurd! This place is the absolute bomb. The ribs, the burger, the whole fish - order it all. Great service, unpretentious guests. This place is fantastic. The burger with the egg might be NYs finest. The specials were amazing .... Giant adobo shrimp and blue crabs ... Regular menu items of tamale and pork shoulders a must! Definitely coming back soon to try out the rest of the menu. Wtf. What.How did I not discover this place sooner.Amazing Filippino food, funny manager, & great bartender. 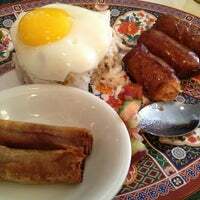 Get the bone marrow, crab fat fried rice w spam, diniguan, cheese icecream, ube milkshake! 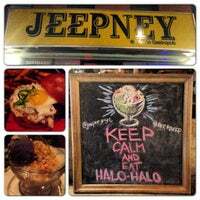 Loved the Jeprox Salad, Bicol Express & the Pancit Malabok Negra. For dessert, try the Cascaron. The service was top notch. Our server, Natalie, was always attentive. Definitely coming back! Small but exceptional place. Fantastic atmosphere. Hard to get a place on weekends. You could always look for empty bar stools and squeeze in. Staff is warm and courteous - they know the food. Rice noodles with shrimp, calamari and pork skin $15 and garlic rice with a fried egg on side. Douse liberally with chilli vinegar. Skip adobo shrimp $17 for 5 over cooked pieces. Staff couldn't be nicer. Bicol, pancit malabok negra, and garlic rice are great, but the champorado & jeprox takes the cake. Don't be scared - you want dried fish in your chocolate pudding, promise. I had a corned beef sinigang which is an unexpected mix of 2 really popular Filipino dishes and it was really good! 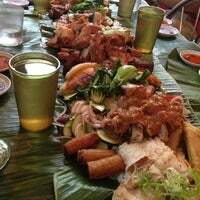 Amazing tiki drinks and Filipino food to go along with them. If you like garlic, then the garlic rice is a must! Great for brunch - Bicol Benedict and any of the silogs, but also save room for their shakes - avocado and ube are our faves. Next up - Kamayan Night. 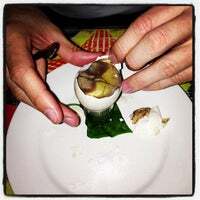 The chicken, green papaya soup in a coconut is amazing. Subtly sweet and savory; the broth-soaked coconut meat at the end is a mouthwatering treat. Kamayan night was the best experience of my life. Food was phenomenal, waitress was an absolute gem. I'm floored and relieved at how cool NY remains. Have the cascaron for dessert--glutinous rice flour doughtnuts filled with jackfruit, ube, or chocolate. Then wash them down with the nutty Cubao X beer cocktail. Mabuhay! Huge portions, good atmosphere, great cocktails! Banana ketchup ribs, lumpia, and sisig tacos were crowd pleasers. I was not impressed with the chori burger or short rib stew which were overcooked. Cocktails are nice and cool, but the tapas are divine. Patio was roomy enough with a nice ambience. Not at all formal. Well worth a visit! The pinay colada will instantly transport you from NYC to a Filipino paradise 🍍 don't miss their back garden. 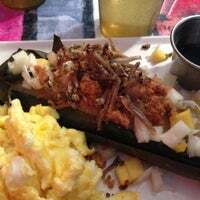 If the fried chicken with a fried egg slathered in peanut gravy is available, you should probably get it. The banana barbecue ribs are one of the best things to happen to the fruit since Foster got ambitious back in the day. Also loved the whole market fish. A little pricey is you're a solo eater. Massive serving size though. Had pork sinigang. Taste was slightly compromised and lacks the kick! Can be improved with more tamarind broth & less onions. Make sure you leave time to eat, converse, digest and eat more. Generous portions! Book a table ahead of time for larger groups. Great food, great service. Try the pancit, and whatever alcoholic beverage has the avocado in it. Both were excellent. 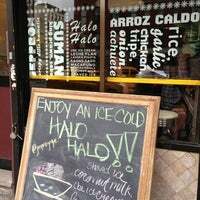 Get the adobo wings, pinakbet salad, arroz caldo, dinugan and puto, and pancit malabok negra. Thursdays are no utensil days! If you can do the kamayan. Limit is four people and reservations are necessary. 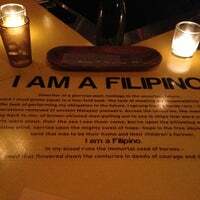 This would be an excellent place to introduce people to filipino food. 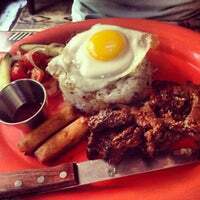 Filipino Gastropub by The Maharlikans. 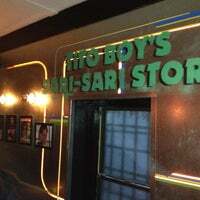 "Yes yes the food is great, the atmosphere is festive and the staff just lovely. I couldn't get enough of the red horse beer. Really good"
"Não cheguei a comer nada, mas só de entrar já senti um cheiro horrível que me embrulhou o estômago e em pleno verão estavam sem sorvete. Péssima impressão"
"Everything is good. I particularly like the variety of cookies. Not too fancy perfect with espresso! Make sure u order in advance for the holiday!" "O sorvete não vale a fama que a sorveteria tem...é um sorvete normal..."